annual Macy’s Thanksgiving Parade in New York City. 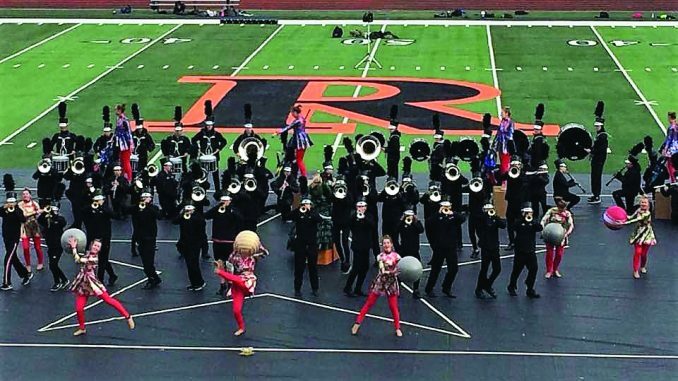 The 308 member ensemble had not slowed down following their Michigan State Competing Bands state championship performance on November 4, 2017. Their attention turned to preparing for their televised special performance at Herald Square in front of the Macy’s store on Thanksgiving Day in addition to perfecting their parade marching techniques for the 2.5 mile route through Manhattan. 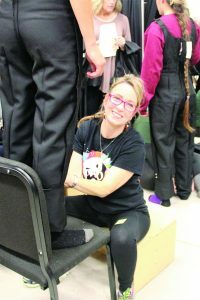 Band parents work diligently to fit over 300 students in new uniforms. 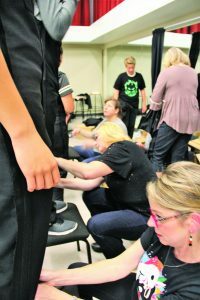 Behind the scenes, parents were been busy fitting new uniforms, designing and building parade props, and providing all the support they could to the staff and performers. It is anticipated that there will be approximately 3.5 million spectators along the parade route which begins at Central Park West and concludes at Herald Square. 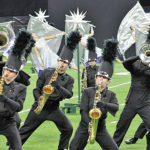 There are over 8,000 participants including Macy’s employees and their friends and families, celebrities, recording artists, athletes, Broadway performers, marching bands, clowns, dancers, cheerleaders and other performance groups to make the parade possible. The students begin their Thanksgiving Day with a 2:30 am report time to travel to Herald Square for a pre-parade TV rehearsal. 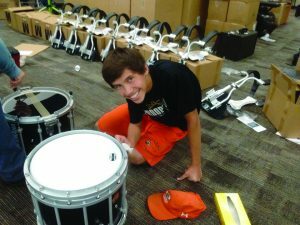 Following rehearsal, they eat breakfast then report to the parade line up at 7:30 am. The RHS Marching Band will be the last band in the parade just before Santa makes his appearance. 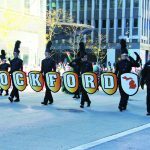 Television coverage of the parade begins at 9:00 am on NBC with Rockford scheduled to be featured at 11:44 am in their special show in front of the famous Macy’s store. Following the parade they will gather for formal pictures before heading back to their hotel for lunch and relaxation. In the evening they will gather with family and friends for a Thanksgiving Celebration Dinner Cruise. 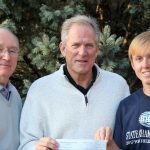 Two special events on Sunday, November 19 took place before the 348 group of students, chaperones and staff departed Rockford High School for the 775 mile, 14 hour bus trip. A prayer gathering by parents and community members took place at the flag pole for safety for the group in their travels and time in New York. 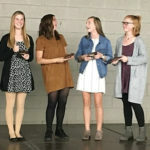 When the busses pulled out of the high school the driveway was lined with fans to cheer them on in their travels with signs, horn honking and lots of waving and smiling faces.